Nowadays, many of us keep our most sensitive information and documents stored somewhere electronically. While we have confidence in technology to keep our most valuable information safe, there are still dangers that put our valuable information at risk online. 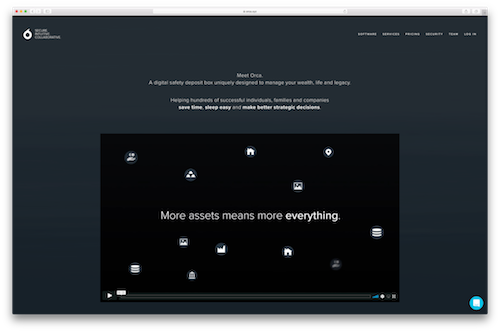 That’s why this week’s #WebsiteWednesday, Orca.xyz, created a way to protect what’s most valuable to you. Your assets are safe thanks to Orca.xyz and their digital safety deposit box, which they’ve designed to be truly secure and completely private. Orca.xyz’s system allows you to organize your assets, wealth, liabilities, contracts, and other important documents all in one convenient and safe place. You’ll also have the ability to share these assets and information with anyone you choose, and can also plan how you manage your assets using Orca.xyz’s interface which shows you a logical layout of your assets and wealth. 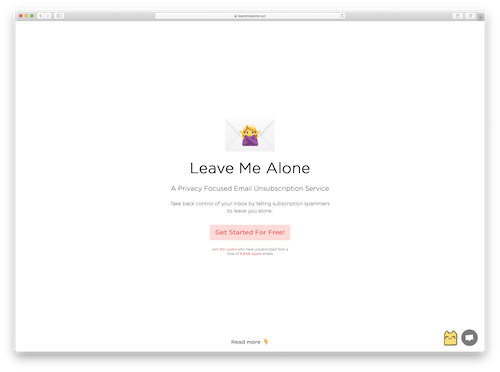 Orca.xyz’s collaborative nature allows you to manage the users you’ve shared your information with, while also giving you complete control to remove their access at any point in time. Orca.xyz also respects your privacy, and as such, does not allow any way that their team could view the assets and documents you store in your virtual deposit box. Online safety is of the utmost importance in the current internet age, and Orca.xyz has developed a system that gives users comfort, control, and peace of mind that their precious information and assets are safely locked away. To learn more about Orca.xyz, check them out on Twitter @Orcaxyz, and to follow in their footsteps and create a website for your revolutionary idea, get a .xyz domain of your own today. Happy New Year, #GenXYZ! Now that the calendar has once again turned over, you might have a few resolutions made for the upcoming year. One of the most common resolutions is to get healthier and improve fitness, which means fitness coaches and trainers are about to have an influx of new clients. 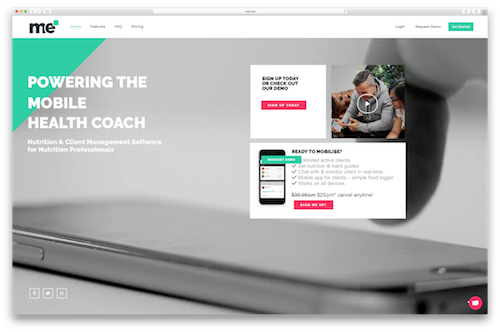 This week’s #WebsiteWednesday, Me2.xyz, is here to help health coaches give their clients the best possible experience. Me2.xyz, or Me Squared, was created to make the entire process of fitness and health coaching easier for trainers and better for clients. The app allows trainers to create custom nutrition guides for clients to follow, provides real time food tracking so the client can stick the their plan and the trainer can see how well their client is eating, and even allows trainers and clients to identify problematic meal trends together through insights built into the app. Me Squared improves the client/trainer relationship as well by supporting remote consultations, in app note taking for trainers, chat and support features, and allows health coaches and trainers to stay in touch any time, which helps clients stay on track with their eating and get to their goals faster. Having been founded just 2 years ago, Me Squared is already achieving notable success, garnering a partnership with Fitness institute Australia and expanding availability to 3 countries (Canada, Australia, and New Zealand) with plans to add more in the near future. Self improvement is a great goal to have for the New Year, and eating better can be a huge step toward achieving a better overall attitude. By empowering the coaches and trainers who help people make that improvement, Me2.xyz is using their technology to make the world a happier and more fit place. 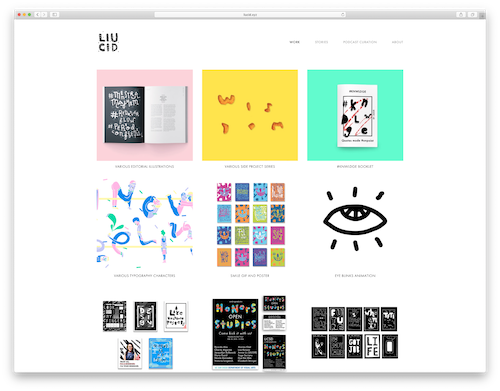 In this week’s #WebsiteWednesday we’re taking another check in on one of our favorite .xyz users, Egreis Gjergjani, and her site StilettoMeUp.xyz. Egreis was one of the first adopters of .xyz all the way back in 2014, and 4 years later StilettoMeUp.xyz is strutting along better than ever. Egreis is a successful fashion entrepreneur who began StilettoMeUp.xyz as she was preparing for a major life change, her first child. She launched her site to share her story of how she added a growing family into her already impressive scope of focus, and she still keeps her site up to date with advice on balancing work and home life, fashion and style tips, behind the scenes looks at her product events and launches, and more. Speaking of product launches, Egreis just launched a new clothing line, by egreis, last week. This new venture sees her branching out from her existing children’s clothing line, Itty Bitty Toes, to create clothing for women of all sizes. Egreis gave a look behind the curtain at the hard work and challenges she faced in the buildup to the launch on her blog, which is an inspiring read for any entrepreneur. In 4 years Egreis’ life has changed many times over, but her .xyz domain has been with her through it all. Her independent and driven spirit combined with her talent and dedication make her a perfect spokesperson for #GenXYZ. While we may not know what Egries has in store next on her journey, we know that she will conquer it with grace and glamour, just as she’s been doing since she started StilettoMeUp.xyz. Privacy is a popular topic right now, thanks to technological advances and heightened awareness by the general public of how much of our private information can be shared when we are using our devices online. 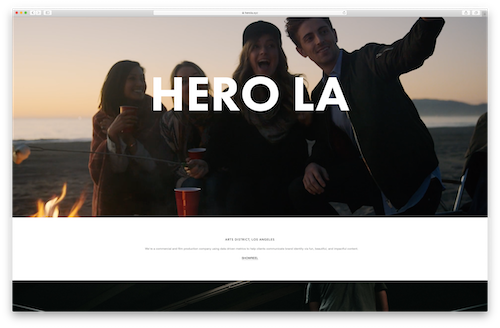 This week’s #WebsiteWednesday, Jigsaw.xyz has a forward thinking solution that puts the power back in users’ hands, while allowing them to have a bigger say in the personalized content they see online. Jigsaw.xyz is a data technology company that uses its technology stack, called Spoke, to enable people and businesses to communicate directly about what the consumer is interested in seeing. This personalized approach is founded on the trust that the consumer gives their explicit permission for businesses to use their relevant personal data, and in turn businesses use that data to curate content, product suggestions, financial offers, and more for that specific person. This unique approach to online interactions between users and businesses is centered on the concept of what Jigsaw.xyz calls ME, or Mass Empowerment. They believe this evolved way of operating online relationships between institutions and people will benefit both parties, while preserving the privacy of users. 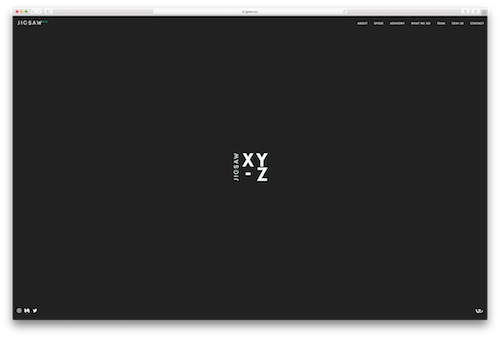 Improving online interactions isn’t the only thing Jigsaw.xyz uses their technology for, though. Just last month, Jigsaw.xyz won Amazon Web Services’ Deep Racer 2018 event, in which participating racers built a toy car that operated autonomously using what’s called reinforcement learning. Providing solutions for people on a global scale is what Jigsaw.xyz is all about, and their .xyz domain goes perfectly with that mission. Their intrepid spirit and commitment to making the web a better place by empowering internet users is a goal we can get behind, and we can’t wait to see what Jigsaw.xyz has in store next. Today’s new technology is completely changing the landscape for many industries, and few have more practical applications than 3D printing. 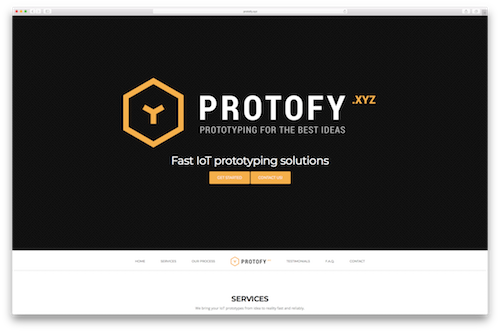 This week’s #WebsiteWednesday, Ottia.xyz, is taking 3D printing technology to new heights and expanding the ways manufacturers can use it. The Ottia.xyz 3D printing machine stands out from its competition because it isn’t just a 3D printer but rather, as Ottia puts it, “a factory in a box.” Their machine functions as all the tools a manufacturer may need: a 3D printer capable of printing complex designs, a mill to make precise carvings in wood and plastics, a laser engraver for etching and detailing, a paste funnel for unique designs, and a pen for intricate designs that require pens smaller than 0.5in wide, all situated over top of a conveyor belt which allows you to focus on other tasks while Ottia handles the manufacturing work itself. That’s not all, though, as the Ottia machine’s open source hardware and software allow anyone to customize it to add the feature that will best serve their needs. This forward thinking approach allows Ottia’s machine to start solving problems for your company right away, while giving you peace of mind in knowing that the machine is ready to grow with your needs as your business grows itself. 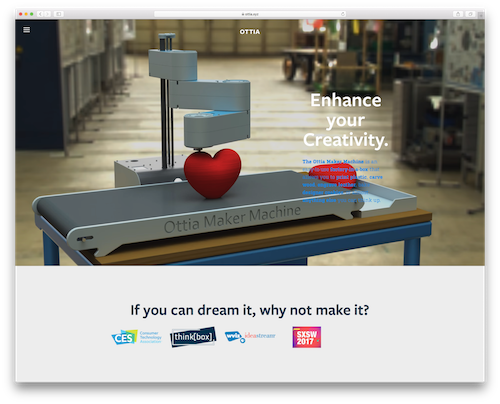 Though the machine is still a prototype idea in search of support and not yet available on the market, Ottia.xyz has been featured at some of the biggest showcases in the country, including CES, SXSW, and PBS’ Ideastream. The buzz they created at these shows led to them also being featured in an article by Cleveland.com, yet another illustration of the bright future Ottia and its creators have ahead. Ottia.xyz’s founders have invented a device that can solve a manufacturer’s needs now and in the future, just as their .xyz domain is perfect for them now and is ready to grow along with them. You can keep updated on Ottia’s journey at Ottia.xyz or on their social media. If you’re ready to follow in their footsteps and get your own idea off the ground, then get started with the .xyz domain you want today. We never forget an especially tasty meal. Whether it’s that spectacular dinner you had on vacation or a simple but unforgettable meal from your favorite spot around the corner, great food experiences are ones that we cherish and look to have as often as we can. 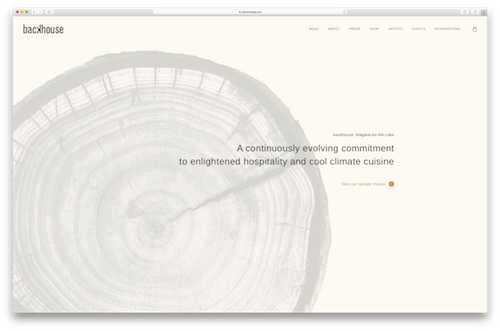 This week’s #WebsiteWednesday, Backhouse.xyz, provides a special dining experience, and their commitment to sustainability makes it all taste even better. Just off the beaten path in Niagara-on-the-Lake, Canada is where Backhouse, one of the most acclaimed restaurants anywhere, resides. The ambience of Backhouse creates a welcoming feeling that you are soon to embark on a culinary journey, guided by their inventive menu that features truly farm-to-table ingredients. Backhouse has a farmer on staff that grows vegetables and herbs for each dish, uses ethically raised and locally sourced meats, and even invites guests to move between the dining room and kitchen to roast marshmallows at the end of their meal. Backhouse may be a small town treat, but their dishes and unique atmosphere have garnered praise from critics and travelers worldwide. Backhouse has been recognized by Conde Nast Traveler, Where Magazine, Travel Life Magazine, Boston.com, Toronto Life, the National Post, and more, and the readers of Air Canada voted Backhouse the Air Canada enRoute People’s Choice Award Winner. This attention hasn’t gone to the heads of the Backhouse team, though, as they remain committed to their craft while also looking out for their community in ways like featuring local artists’ work from the Canadian Artists Program in their restaurant. Backhouse is an inspiring example of the successes that can be attained through hard work, commitment to your values, and an innovative spirit. On their Backhouse.xyz site, they allow that spirit to shine through, and serve as an example that any up and coming restaurant should be eager to follow.